Removal and sanitisation services of bird waste. We highly recommend pigeon or seagull waste is removed prior to installing deterrents. We cover Broadstairs, and the surrounding areas. Pigeons and seagull droppings in large quantities can result in damage to the structure of your building or equipment if it is not dealt with correctly and quickly. Vulnerable areas are usually roofs, balconies, ledges, ventilation systems, and lofts. 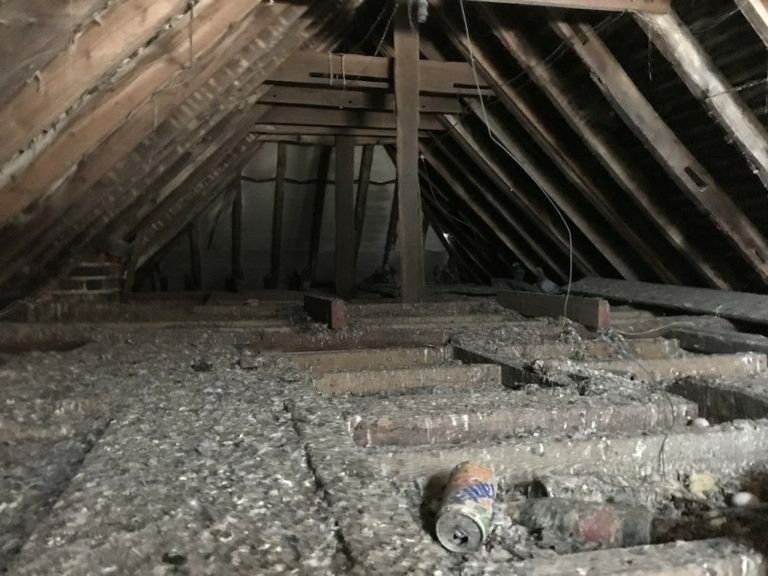 Pigeons in particular will always seek out sheltered, dry areas where they are protected from the elements which are ideal for roosting and nesting. It will not be long before high concentrations of bird faeces build up which can lead to corrosion from the acidic content and when wet become slippery causing a health and safety issue. Ventilation systems, gutters and downpipes are prone to clogging from nesting material and bird droppings which can result in costly repairs. Birds also introduce parasites, fleas and ticks into the environment around their nesting areas. Unpleasant odours and contaminants can quickly be dispersed which can then can be inhaled, thus causing respiratory problems and potentially compromise your immune system. Safe cleaning and removal of bird droppings in Broadstairs. We follow a safe cleaning and sanitization procedure to ensure all bird waste is removed in the correct manner. Our bird control operatives wear the correct respiratory equipment Personal Protective Equipment (PPE) and waste is disposed of following strict guidelines. On completion of bird waste cleaning we will sanitize the affected area using a commercial strength sanitizer (Biokil) to make sure your premises are free of any contaminates. We highly recommend bird deterrents are fitted to prevent future problems. On completion of bird waste cleaning for pigeons and seagulls we would advise that bird deterrents are fitted as soon as possible to prevent any repeat of the problem. We have a comprehensive range of pigeon or seagull control products that can be installed on any type of structure in Broadstairs, Surrey, Sussex, London. We can install our products for schools, colleges, hospital, industrial units, office blocks, flats, shopping malls, shop fronts.